Did you lose your transponder keys? 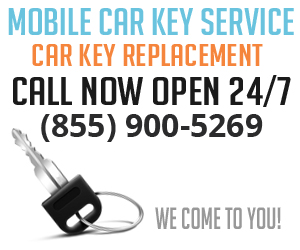 Need a new transponder key cut in Phoenix AZ? 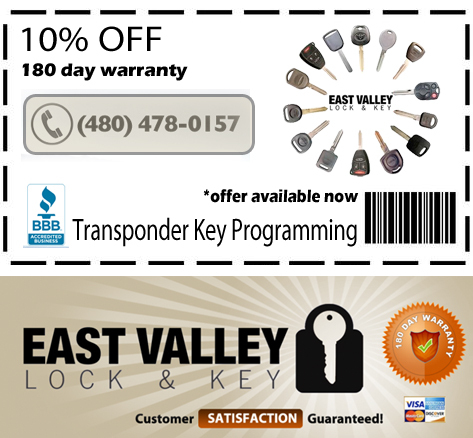 East Valley Lock & Key is now offering a 10% off coupon for their transponder key cutting services in Phoenix AZ. Their top level locksmiths have been providing mobile locksmith services to the valley of the sun for over 5 years, and are accredited by the BBB. They also offer a 180 day warranty!